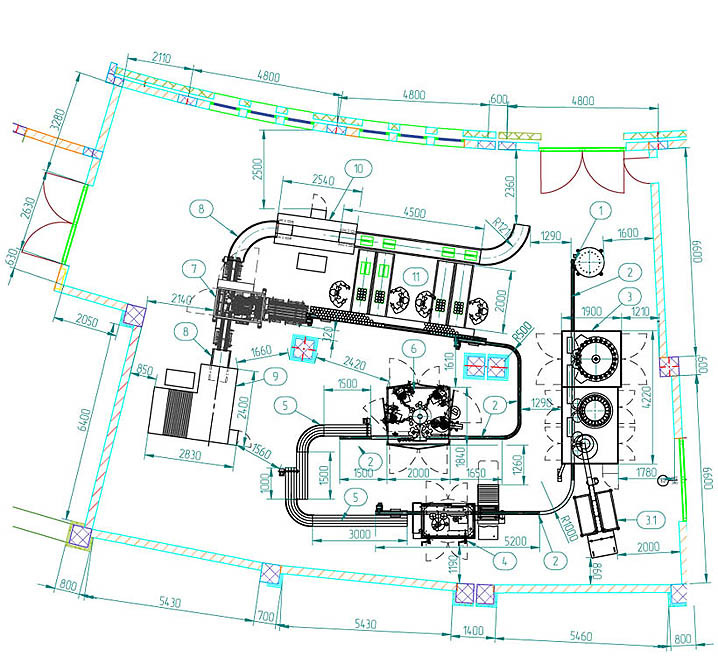 Complete technological line for bottling of wine. INDEX-6® put into regular exploitation a complete technological line for bottling of wine, with capacity 5000 bph, in Katarzyna Estate (www.katarzyna.bg) – a modern winery, part of the Belvedere Group. This is the second line for wine of Belvedere Group in Bulgaria, the first is in operation since 2004 in Domain Menada, Stara Zagora. The line installed in Katarzyna is with a new design and considerable improvements in the active part – the sanitization, filling and capping of the bottles is carried out by a compact tribloc system Pragmatic®, in clean edition, with integrated ceiling, sterile air supply capability, linked to an automatic CIP with centralized draining and returning of the rinsing and washing solutions. The tribloc is controlled by an Omron PLC, with all adjustments being carried out via the TouchScreen HMI. Height adjustment is motorized. The equipment is used for filling of wine in bottles 0,375 l to 1.5 l.